From increased foot traffic in the neighborhood to greater accessibility to LA, the stop's effects are wide-ranging. The present and future of transportation in Leimert Park. A train is arriving soon, but with what? From excitement to fear from businesses and residents, not everyone agrees on the stop's implications. 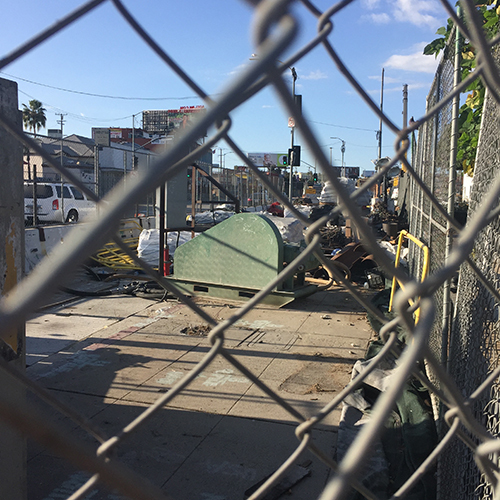 As the sun finishes rising and the first construction vehicles begin to roar across the street from the Leimert Park Village Plaza, it is business as usual, but the construction of this train stop may completely revolutionize this Los Angeles neighborhood—for better or worse. 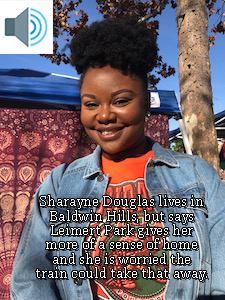 Douglas’ sentiments are not uncommon for residents and non-residents alike, who find solace in the predominantly African-American community. At just over a square mile, the neighborhood has both benefited and been hindered by its relative isolation, but being a part of LA Metro’s ambitious new Crenshaw/LAX line will change all of that. Concerns over gentrification or the buying out of properties between now and the stop’s opening at the end of 2019 can be found easily around Leimert Park, but so can excitement about the increased foot traffic. It depends on who you ask. Vision Theatre is a historic building and has been undergoing massive renovations for over four years, but due to construction and financial delays, it will not officially close its doors until December 22. Due to these delays, including having to check all plans with a consultant since the building is officially a historic site, the theatre has been in limbo. However, all renovations are planned and on schedule to be completed by the end of 2019, which is right around the time the train stop will open as well. 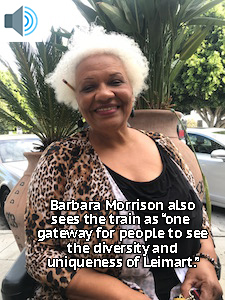 This is no coincidence, as the renovations and the train stop are the central focuses of the Leimert Park 20|20 Vision Initiative. The initiative revolves around six main objectives: Design and cultural preservation, infrastructure and façades, transit oriented development, economic development, branding, marketing, and business development, and a collaborative fund development. The Greater Leimert Park Village Crenshaw Corridor Business Improvement District commissioned the initiative, and the objectives were identified by the Leimert Park Stakeholders. 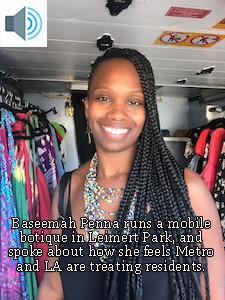 One of the principals behind the planning process, and the founder of the Urban Design Center, Sherri Franklin, is excited about what the coming years will bring Leimert. As it was mentioned earlier, though, the opinions on the train stop vary depending on who you ask. Businesses tend to be more positive, while private citizens are more hesitant about how their communities will change, from housing prices to even their favorite businesses being pushed out. 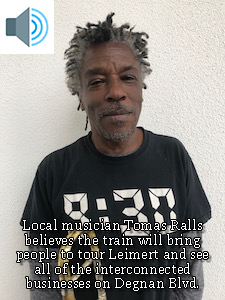 "I’ve always felt, and I promote the fact that, the light rail system gives us another tool for marketing Leimert Park." 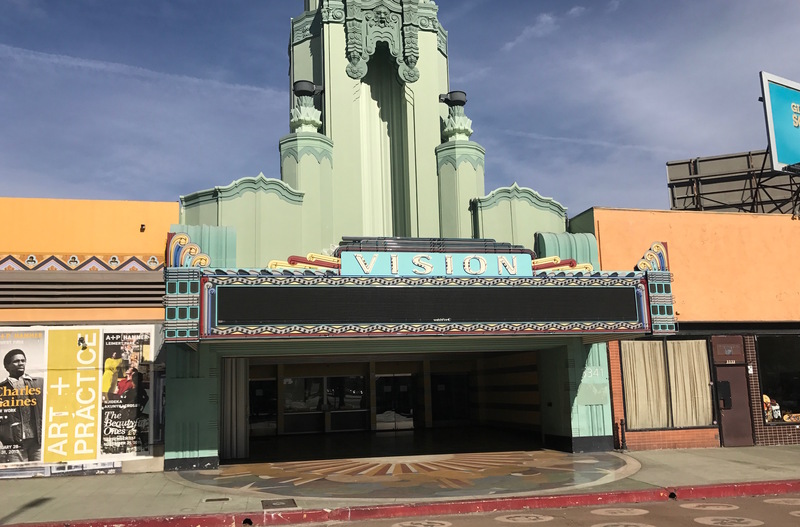 Vision Theatre is widely known as Leimert Park's most well-known entity, and its director wants it to be one of the best in Los Angeles after restorations are complete. Despite some residents’ hesitations, businesses like the Vision Theatre not only want the community to stay involved, but they believe they need it to survive. With such a close knit community, people like Burks have continued to emphasize that they will stay focused on residents and not just the new foot traffic. 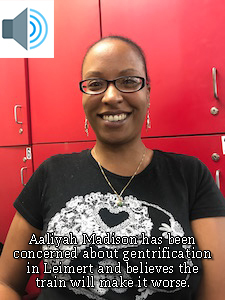 Although it may be business as usual for now, other than the large construction site at the corner of the neighborhood, changes are coming to Leimert Park, and everyone is cautiously hoping for the best. Eight perspectives on what the train stop may bring to their community. 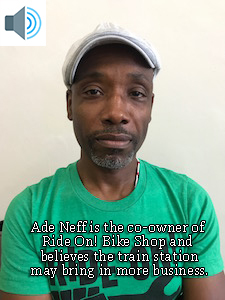 Cycling is popular enough among residents of Leimert Park that Ride On! Bike Shop was able to open on Degnan Blvd. earlier this year. The Metro stop will not open until the end of 2019, but Ride On! and MVMT are pushing residents to look into cycling for transportation and exercise. Check out Saturday's route: The two points that are closest together are where the cylists did laps at their own paces. Watch Marcelo Da Saliva take you down Degnan Blvd. as he meets with the last couple cyclists to arrive. 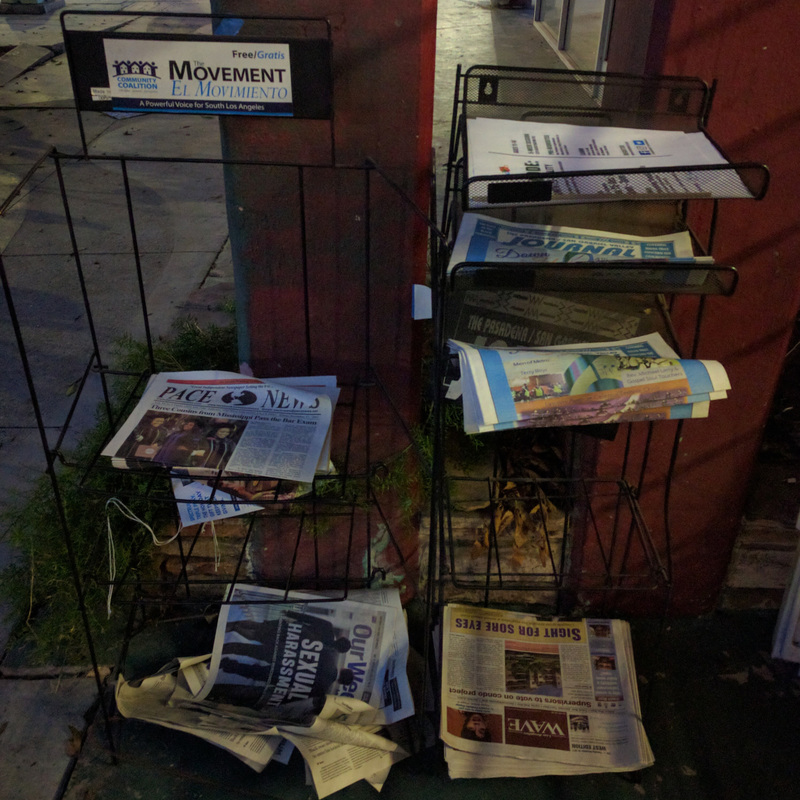 Despite the rise of social media, the community of Leimert Park utilizes different avenues of communication to make sure that the residents never miss the word on the street. The Fernando Pullum Community Arts Center serves free music and performing arts classes for children ages 5-20 as after-school programs. 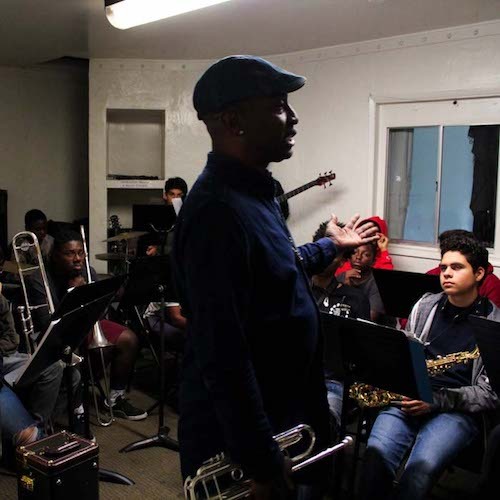 The center, run by Fernando Pullum, aims to use music as a path towards success. 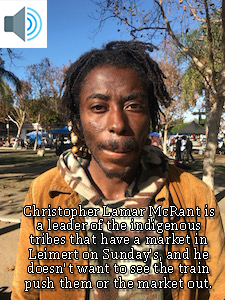 Leimert Park is currently going through an age of development. With the emergence of a metro stop and the development of open lots, there is speculation of a cultural renaissance.